This started as a performance painting at an event. 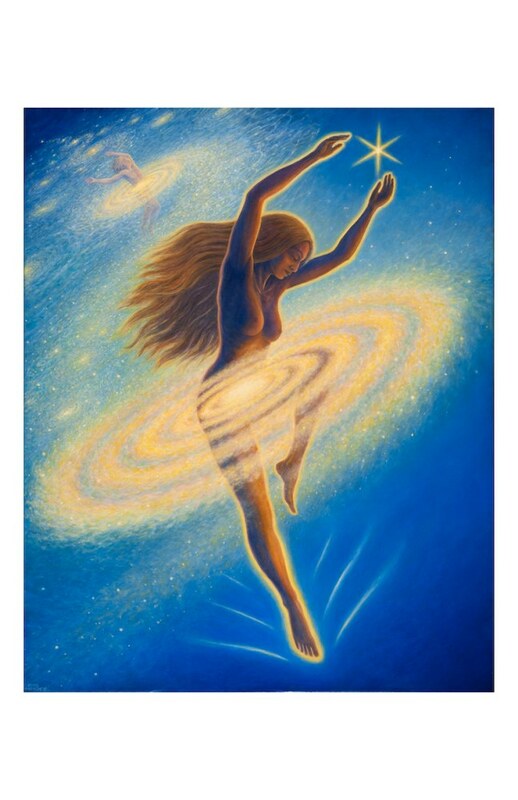 The dancer flies, she spins, she crosses the galaxy in a single bound. She dances as the light in the light.